It has been a while since I shared anything personal. I see other bloggers share their online income details. To experiment, I’ll also reveal my January 2016 blog income, for the first time in 5 years of blogging. I’ll see the audience response and result before deciding to either continue or discontinue publishing income report in February. I am very hesitant to reveal such details in public. It may be trivial for some, but not for me. Lately, as you have probably noticed, I wasn’t posting personal matters. My posts have become list posts with straight financial advice. Many of my posts were directed towards small business owners. Those are sponsored posts, basically. Well, there are reasons for not putting my soul into blogging. Blogging is my side hobby come business. I have a demanding day job as a software technology manager. I manage and lead a big team and that usually takes a toll on my blogging time. When I first started this blog I was a technical lead, wasn’t responsible for anyone else’s career. Only programming was all I did back then. Over the last 5 years, my career grew and responsibilities added. Not that I am complaining, rather probably, I am trying to defend my lack of efforts in blogging. At the job, I was never happier. I was never trusted with so many responsibilities before. I can now take decisions that are visible at a very high level of senior leadership. Moreover, ever since SMB got pregnant, our weekend time is getting spent in planning, and preparing for the life ahead, post child birth. Now that everything’s done and we are waiting for the big arrival, I can spend some time with my beloved readers. I’ll soon write about the pregnancy. Coming back to my blogging affairs, let me let you have a sneak peek into my blogging profitability. I mentioned in some of the most popular posts, that I earn a handsome money from this blog. Out of around 850 articles I published since 2011, around 75 articles generate a steady flow of visitors through the search engine and links from other sites. I heavily monetized those pages in terms of pay-per-click ads, affiliate ads, CPM ads, etc. Often I sent out newsletters to my blog subscribers, with valuable tips and tricks. Some of those emails contain affiliate links. When people buy things or signup for offers, I get a cut. For example, I use PersonalCapital as a personal finance tool. I wrote a huge post about it, all true experience and aimed at making your financial life stronger. But that post ended up being a good revenue generator as well. If you signup to use PersonalCapital, using the link here (or, links on my post about personal capital), I’ll get an affiliate commission. Don’t worry PersonalCapital is a free tool, but very useful. All my pages have some cost per click ads (CPC) from Google Adsense and media.net. When my site visitors click on those ads, I earn a referral money. When you talk about thousands of visitors in a day, even a fraction of them clicking my ads, generate a sizeable income. Also, I am lucky to be one of the top affiliate earners for a major financial company, due to the confidentiality agreement, I can’t reveal the identity of the company. 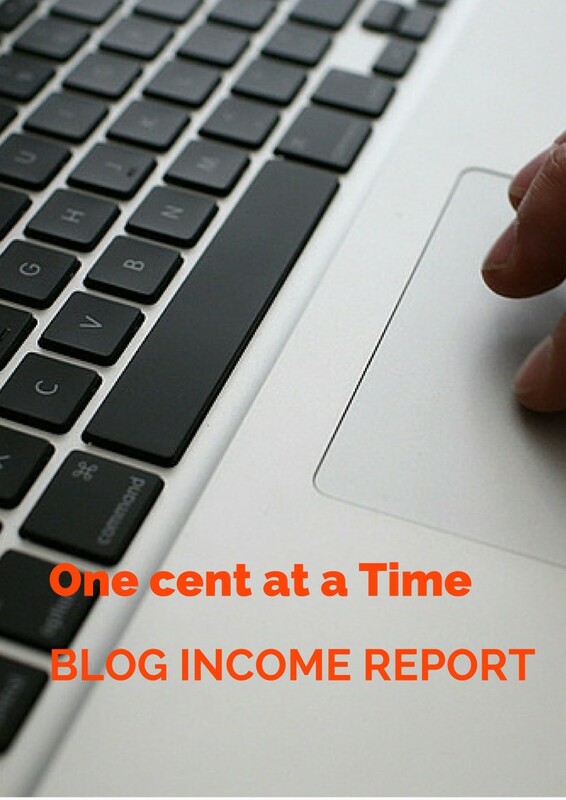 I have searched for some other bloggers who regularly publish their online income report. Most of them earn lion’s share of their money through a hosting service promotion. I am trying to catch up there as well. Through my post on creating a blog with $20 in 20 mins, I get an increasing number of signups every month. Signups by people starting their own website/blog. I am putting the numbers in round figure, removing the decimals. Expense = $22 hosting fee with SiteGround. No doubt, January 2016 blog income surpassed the ‘after-tax January paycheck’ from my job. Many bloggers left their job with just a third of this income. But, I like to work with people, I love the team working atmosphere. Without a day job, I’d probably fail at blogging as well. So I am not quitting, for a long long time. One good thing about blogging is, while your newest articles do not generate any revenue, old popular articles do a lot. So, even if you quit blogging for a month or two, your income will not change I am not sure what the future has in store for us but I’ll have to take time off from blogging. I’d probably be back to blogging in a couple of weeks after the baby’s birth. Readers, share what you know with us. Also, feel free to express your satisfaction, dissatisfaction, awe or distraught at this income report. Can’t wait to hear from you guys. Until we meet again. Thank you for sharing. It is very helpful to benchmark what other site owners are able to generate, and see where their income comes from. The fact that you earn what you do while working full time is impressive. These numbers will give others the motivation to begin and persevere. Which of course helps your blue host affiliate numbers! Congratulations on the expected baby. If you mentioned that before, I missed it. It would be hard for me, too, to reveal much personal info. I guess I am what is known as a “private” person. However, it does make a blog more interesting if some personal stuff is revealed. Thanks for sharing. It’s an interesting topic and I’ve recently been investigating more on monetizing the blog. For now, I think it would just be nice to cover the cost of hosting. You may contact article brokers. They’ll get sponsored contents for you. also, you must have some articles ranking higher and get some visitors. try to monetize those with affiliate links and CPC/CPM ads. I love it when fellow bloggers pull back the curtain and share their income! Looks very nice 🙂 That’s admirable that you are basically able to work two jobs as once. It seems like you have healthy affiliate income vs. sponsored posts, so your results should be relatively repeatable over the months. Nice job! I attribute it to some of the hacks I developed over the years, that save time. I reply to my blog emails only from home after work. I do not negotiate on pricing, it’s take it or leave it option. I have some established article brokers who constantly do the negotiation for me and I just need to publish those content. I usually write in bulk and schedule at thrice a week interval. I do not aim to write affiliate focus articles unless I get SE blessing. usually that happens between month 3 to month 6, after publication. Once I get a traction, I amend and add texts to those posts. I learnt it a hard way that search engine success is like winning a mini lottery, you dont try, you just get it, somehow. That’s awesome! I love that most of it is affiliate income. Great job! This was an extremely refreshing post to read! Congratulations on soon to becoming a father! I have a 10 months old son and it’s the most special experience you can imagine! Also, I loved to see that there are still some people out there who enjoy their full time job. I read a lot of blogs and the majority of people are blogging to escape their current situation. Your income and risk is spread nicely and it’s a great testament to 5 years of blogging! Looking forward to seeing more of your updates! This was an equally refreshing comment. I went ahead and subscribed to your income report. You are filling a gap in the industry, great thinking! SB – I am really interested in how you built your income blogging. Your January figures are very impressive; especially to me who has just started. I’m very motivated and believe I have some good ideas for content on my site. One thing I am not confident about is how to drive traffic to my blog. Is that something that comes with time as I post more and end up being part of search results more frequently?